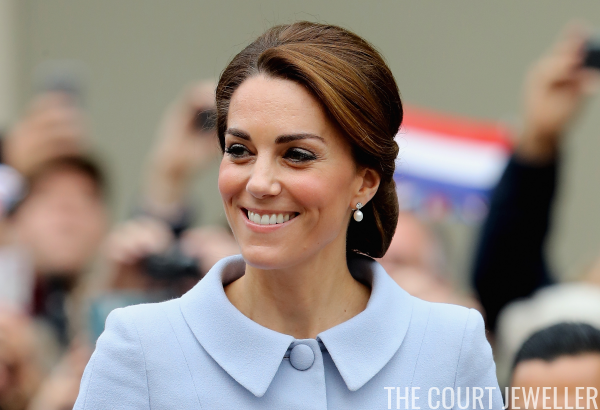 Insert your "Girl with the Pearl Earring" puns here: the Duchess of Cambridge chose a very appropriate -- and, it turns out, valuable -- pair of earbobs for her visit to the Netherlands today. 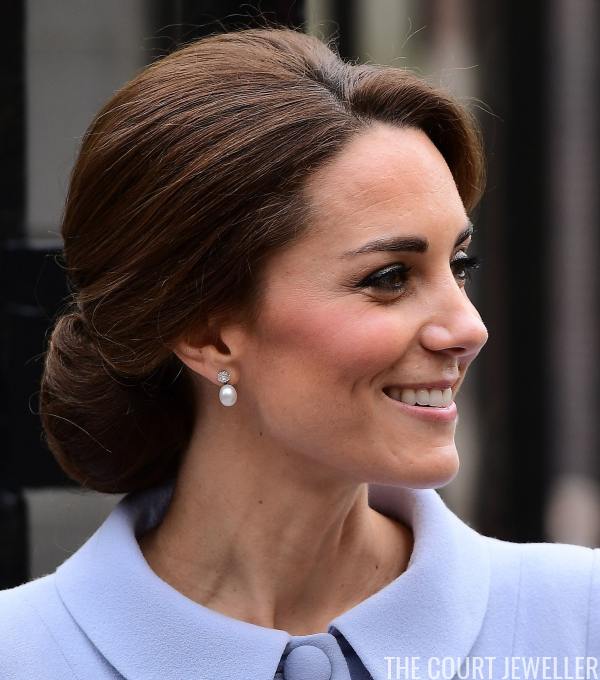 For the visit, Kate wore a pair of earrings that she debuted during the recent tour of Canada: diamond studs with small pearl drops. 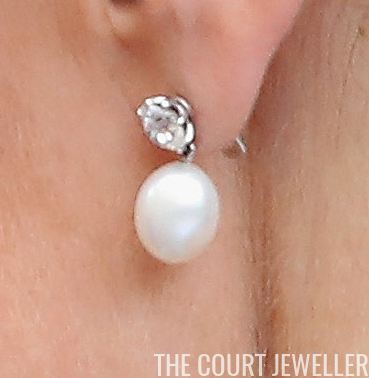 You can see a detailed shot of the earrings above. You'll recall that, during the Canadian tour, Heavenly Necklaces intimated that these earrings could be from their collection. 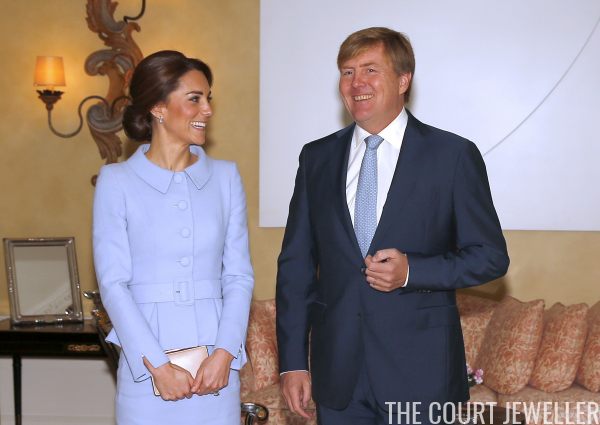 We learned today that this is not the case: royal reporters have confirmed that the earrings are indeed on loan from the Queen.